Can the vertical line please be removed (again)? The same issue as Why was a vertical line added on the left for users who collapse the left navigation? Can it please be removed? has arisen again. The bug was initially fixed, but it seems to have regressed. I'm posting again because SE generally prefers we file new bug reports if a fixed bug comes up again, rather than removing the status-completed tag on the older one. Again, I really don't like it there. It's eye-catching and extremely distracting for me. Yes, there's still a line on my screen but the margin is noticeably reduced compared to @Rick's. Note where the home button is positioned on my topbar, they're much nearer to the left. I believe the two problems are related but Sonic's request is a separate issue. 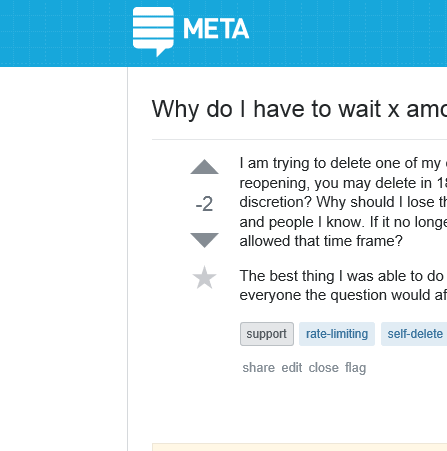 Unfortunately, I cannot post an "answer" there because it is closed as a duplicate. Not the answer you're looking for? Browse other questions tagged bug status-completed design regression . Why do I have empty space on the left suddenly? Why was a vertical line added on the left for users who collapse the left navigation? Can it please be removed?